We made it to October! 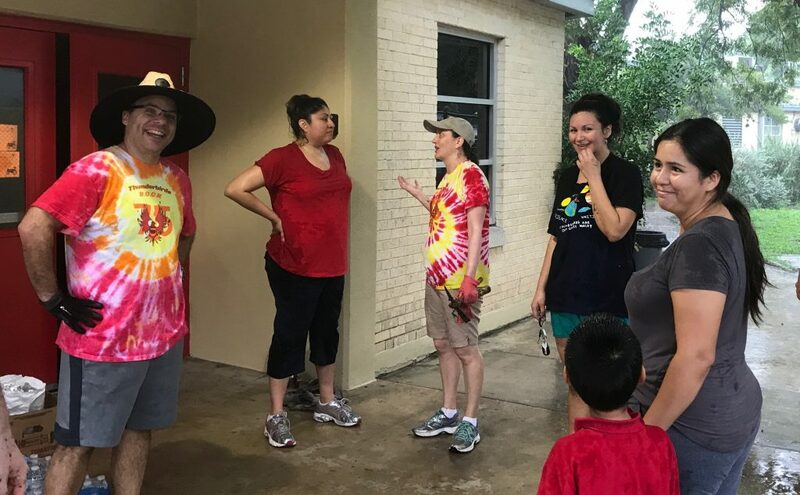 Thanks to everyone who came out and worked in the  rain  last Saturday for Beautification Day! And a great big Appreciation Pump ‼ ‼ ‼ to Ben Appl for leading another successful day! Don’t forget we have a short week this week and a four-day weekend…yippee! No school this Friday (10/5) or Monday (10/8). The teachers will still be working hard to connect with each and every parent for Parent/Teacher Conferences on Monday. If you have not signed up with your child’s teacher, please do ASAP. Don’t forget the Used Book Fair  is going on now! Ask your child dig into that piggy bank so they have some moola to purchase a book or two (50 cents each ). Each class has designated times, or they can stop by the library during lunch or right after school. Please check your Wednesday Paper Folder today for a letter from the Principal, Mrs. Navarro, and AP, Ms. De La Torre! Our assemblies are a fun way for our students to celebrate Thunderbird pride. Parents are welcome to join. Meet in the gym at 7:35 rockin’ your Thunderbird shirt! This Thursday before assembly will be your last chance to scoop up a 2018/19 shirt (7:15–7:45am). Lower Grade Assembly (K-2) will be on Friday, October 12. Prime Time starts next week—look for your child’s assignment this week! Classes take place after school from 3:15–4:15. We need family volunteers from all classes to help run our booths and help make sure our children have a fun and safe time. Our parent volunteers are essential in making the Carnival a true community experience. We are also collecting donations of “gently used” toys and stuffed animals to be recycled as prizes for Fall Carnival. Simply gather your items and drop them into the box in front of the school office. Thank you! Please refer to your Wednesday Folder to read, sign, and return this document. It represents an agreement made by parents, students, teachers, and administrators as to how we will work together this year to meet school standards. As a parent of a student at THES, you have the right to know the professional qualifications of the classroom teachers and teacher assistants who instruct your child. Federal law allows you to ask for certain information about your child’s classroom teachers and requires us to give you this information in a timely manner if you ask for it. Please refer to the scanned document below (or the flyer in your Wed. Folder) fotructions on how to request this information. Please come to the PTA meeting and all will be revealed! Everyone is welcome to attend whether you are a member or not. Get updates on membership, advocacy, fundraising, teacher appreciation, Fall Carnival, and the PTA budget. Our new principal Ms. Navarro will be there to answer your questions! We will vote on an important new budget item for a very exciting reading program! And everyone will have an opportunity to talk about how Back to School Night went and give feedback, so please bring your ideas on how we can make that important evening better. Children are welcome! Please come and get to know your PTA board and find out all about our exciting plans. Turn in your Flu Shot  Forms ASAP. Free shots will be offered on 10/30.